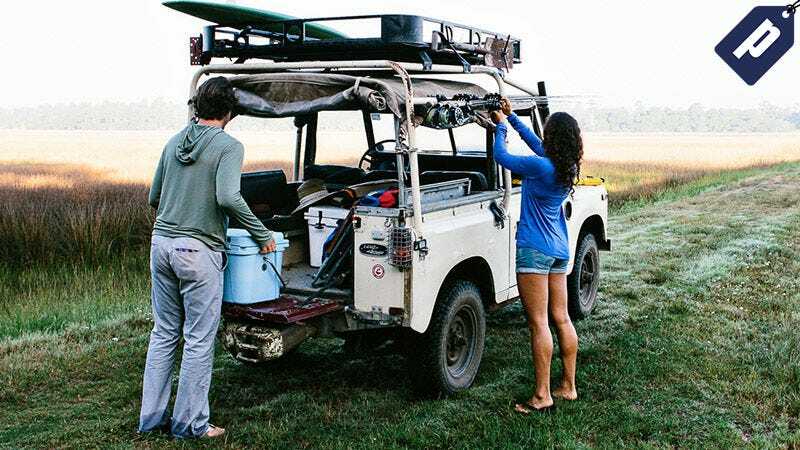 Free Fly Apparel is all about matching your outdoor aspirations with functional clothes that take you from the city to the escape. The Bamboo Midweight Hoody is the perfect layer for any occasion on or off the grid, minus the gimmicks. Save 25% with promo code DEADSPIN25 and get yours for just $45. A custom blend of Bamboo, Polyester, and Spandex makes it incredibly soft, durable and stretchy, with the natural odor-resistant properties of bamboo. Thumb-holes in each sleeve for partial hand protection with breathability. A Sleeve zipper pocket for essentials like cash, credits, IDs, or keys. It’s moisture-wicking with UPF 50 sun protection. The Bamboo Midweight Hoody comes in black, heather grey, navy, ocean blue, slate green, spruce and sizes S - 3XL. Save 25% and get your for just $45 with promo code DEADSPIN25. For a women’s version, check out the similar Women’s Bamboo Hoody.